Is There a Spare Tire in Your Car’s Trunk? When you buy a car, you might expect it to have everything you need if you have a flat or damaged tire. According to Edmunds.com, one-third to one-half of new cars today don’t come with a spare tire; a new car may include a tire repair kit instead, or may come without any repair equipment at all. Eliminating the weight of the spare tire and jack helps increase fuel efficiency. Also, for convenience, many motorists call roadside assistance to fix a flat, even when they have a spare tire. Additionally, tire pressure monitoring systems in cars can warn owners of a leaking tire before it turns into a flat. So, it is becoming more common to eliminate the spare tire altogether. Regardless of the reasons, you don’t want to find out about your spare tire (or the lack of it) right after you have a flat tire. Even if you choose to call for roadside assistance, you will save time and a possible tow if you have a functioning spare tire. If your car came with a tire repair kit, it may be sufficient if you have a small, slow leak. Tire repair kits range from a spray can of leak repair to a tire patch kit. Using the spray can will usually ruin the tire for any future use beyond getting to a repair station. If your tire suffers major damage during the flat or blowout, a tire repair kit will be of no value. If your car does not come with a spare tire and you wish to add one, you have a few options. You can purchase a spare tire kit from your dealer or an aftermarket supplier. The kit should include a properly sized tire, a jack and a lug wrench. Be sure to review the instructions for changing your car’s tire, so you can feel comfortable with the process even if you choose to have someone else help you. Over 1 in 3 new cars sold today no longer come with a spare tire. Be sure to ask your sales person about this and about your options. Another option is to replace your tires with run-flat tires. A run-flat tire is designed to resist deflation when damaged and lets you drive at reduced speeds (55 mph or less) and limited distances (under 100 or 200 miles, based on the type of tire). Run-flat tires, on average, cost about one-third more than regular tires and wear out more quickly. Some manufacturers include run-flat tires as standard on some of their models. The best option for most drivers is to have a spare tire kit. This way, you are prepared for every situation. 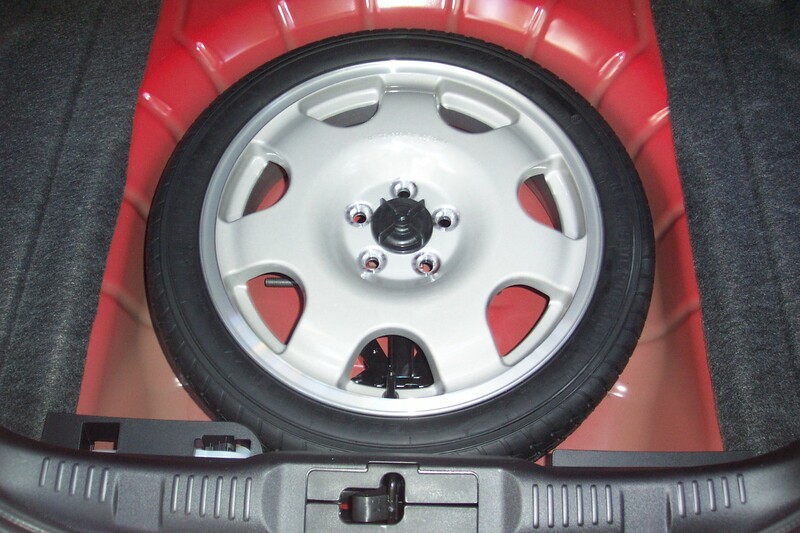 Be sure to check your spare tire periodically to be sure it is inflated properly. If you prefer not to have a spare tire, then, by all means, have good roadside assistance and a tire repair kit. A compromise solution would be to have the spare tire kit and put it in the car on longer trips. Ultimately, make the decision that works best for you and eliminates the stress of tire worries.